Sakai Guides and DocumentationAssessments and Grading AssessmentsHow do I give the same score (e.g. 0) to all students with no submission for an assessment? By default, students with No Submission to an assessment will have a blank, or null, grade. The assessment will not count in their final grade until a grade has been entered for them. 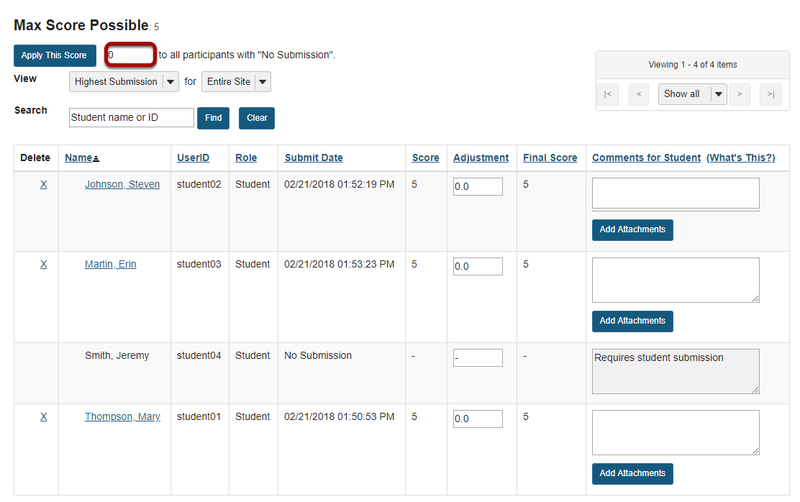 You can assign the same grade, such as 0, to all students who did not submit an assessment. WARNING: Once a grade has been saved for a student in Tests & Quizzes, you cannot delete the grade to remove it from the student's course grade. 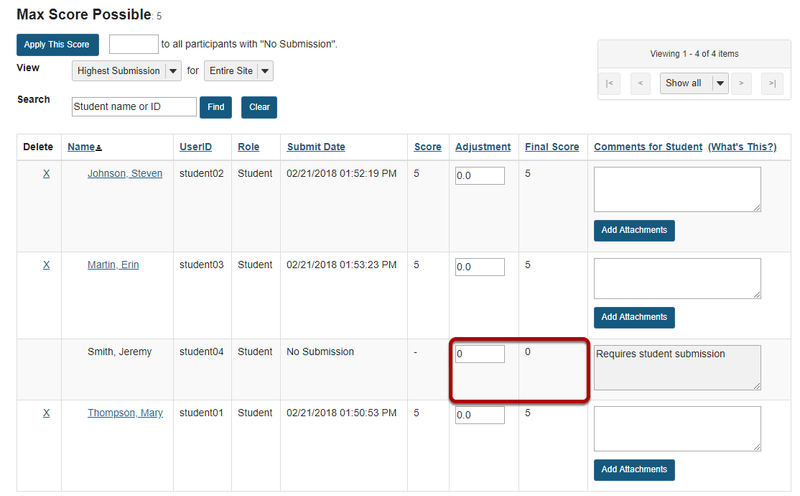 Enter a score to assign to all students with No Submission. 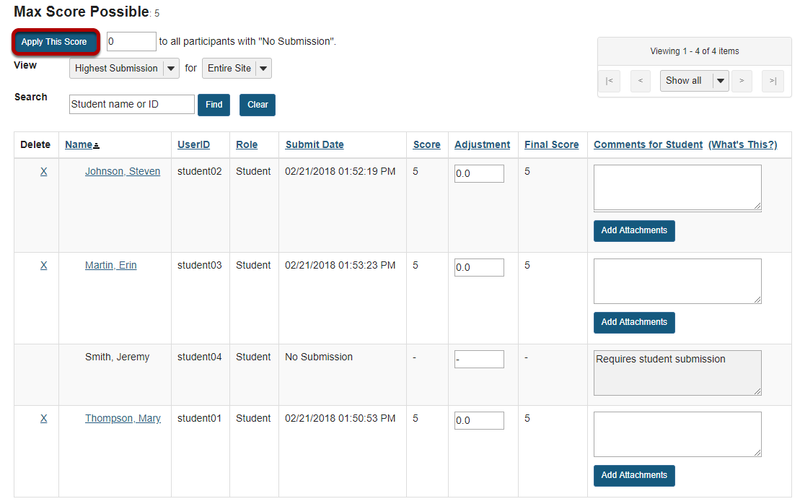 Zoom: Enter a score to assign to all students with No Submission. Enter a point value, e.g. 0, in the box to Apply this score to all participants with "No Submission". Zoom: Click Apply This Score. Clicking Apply this score saves the change to the score of ALL students with No Submission. You do not need to click Update to confirm saving the score. All students with No Submission will have the selected score entered in the grade Adjustment box, and it will be their Final Score. Prev: How do I download Tests & Quizzes submissions for grading offline? Next: How do I view statistics about a completed assessment?